Cleaver Scientific announces the introduction of a horizontal polyacrylamide gel electrophoresis (hPAGE) system developed in collaboration with the Kirkhouse Trust, an organisation supporting research and education in the biological sciences. 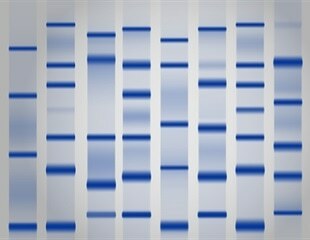 Gel electrophoresis is one of the most important and frequently used techniques in RNA analysis. Electrophoresis is used for RNA detection, quantification, purification by size and quality assessment. Gels are involved in a wide variety of methods including northern blotting, primer extension, footprinting and analyzing processing reactions. The two most common types of gels are polyacrylamide and agarose. Austrian researchers have successfully developed a new electrophoretic method for detecting MIRCERA® and other erythropoietins (EPO) in the blood. The technique, using SARCOSYL-PAGE, has specifically enhanced sensitivity for MIRCERA, but does not alter the performance characteristics of SDS-PAGE for detecting other EPOs.